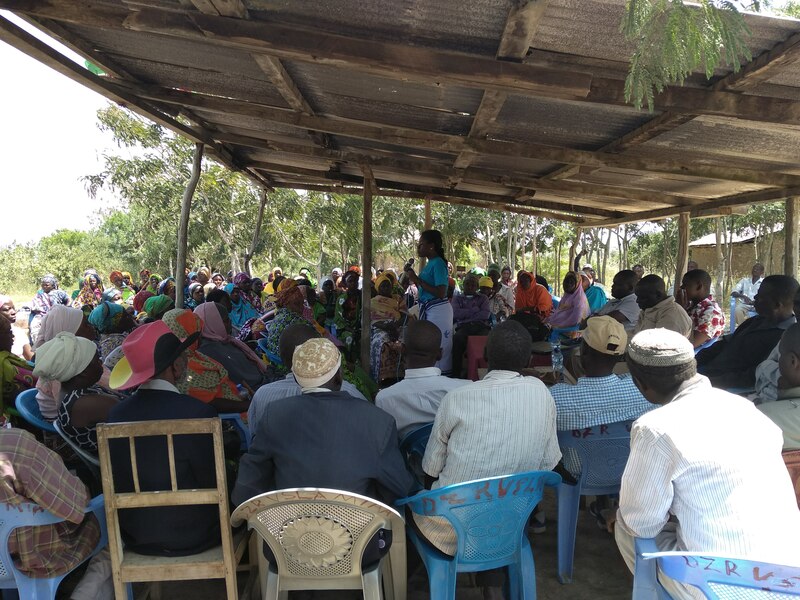 TI-Kenya’s ALAC Mombasa team conducted civic education forums and legal aid clinics in Kwale County to empower citizens in the fight against land corruption. The forums were held from 16th to 22nd July 2018 in Tiwi, Kasemeni, Taru, Samburu and Ramisi. This was done through civic engagement, citizen empowerment and the involvement of key stakeholders and players in land governance and administration. Public dialogue forums on land rights and land tenure systems were utilised to equip the public with the requisite information on their land rights and how to enforce these rights. Land injustices and corruption have historically flawed effective land administration in Kenya. While the government has tried to solve such inefficiencies, Coastal region still presents unique challenges on land governance. Along the Kenyan coastal strip, land is majorly owned by absentee landlords and an up rise of squatter settlements cannot be understated. A study of Kwale County, especially in Kasemeni and Samburu areas, shows that land is majorly held in trust and in form of group ranches. At the same time, land adjudication has not been done in most areas of the County. Land as a major resource is evidently under-utilized in Kwale County with a holding size of 4.4 acres. In addition, only 22.5 % of land in the county has title deeds. Lack of land and the squatter problem cuts across most parts of Kwale County. A major presented challenge in the County revolves around land ownership and this is worsened by low levels of literacy in the area. Illiteracy inhibits the level of public participation, exercise of rights and oversight role of citizens in their areas of interest. Lack of knowledge provides an opportunity for public exploitation, land corruption and bad governance to thrive. On the other hand, knowledge of land rights by the public acts as a buffer against exploitation. Knowledge is the basis of everything and without it, then land rights can easily be trampled upon with impunity; a recurring problem that transverses most parts of the county. TI-Kenya is currently implementing the “Land and Corruption Project in Africa” in two counties in Kenya; Kwale and Nairobi. The project’s main aim is to enhance continued protection of land rights and tenure systems in Kenya.